One of the highlights of my student ministry year has always been going to camp in the summer. It seems like God uses the camp environment to make a spiritual impact on student’s lives that rarely happens at other times during the year. As much as we try to recreate the camp experience it seems to pale in comparison. I believe one of the greatest things that God uses to impact the lives of our students while at camp are the relationships that are established. Something that we all want for our students is that they connect with and develop healthy relationships with their leaders. 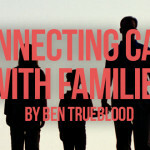 Lifeway Research recently found in a study on student dropouts that if five or more adults are involved in the life of a student there is a greater chance that they will stay connected to the local church after graduation. We all know that our leaders have a limited amount of time that they can spend with students during the week due to their jobs and other responsibilities. When we enlist and take leaders to camp it allows them the opportunity to spend a week with students developing discipleship relationships that will last all of their lives. Leaders have the chance to pour into the lives of their students as they worship with them, counsel with them and serve with them. Make it a part of your camp strategy to enlist as many leaders as you can with the view of capitalizing on the time they can spend developing relationships with your students. Another great benefit to camp is the opportunity our students have to develop relationships with other students from across the country. There are a lot of good camp models out there but I guess I am a little biased to the model that Fuge uses. Through a program that Fuge developed several years ago called X-Fuge, I have the opportunity to decide when I want my students with other students and when I want them to stay together as a group. For example last summer I took a group of 30 students to the University of the Cumberlands. This was my first camp trip with this group so I felt that they needed some time together as a group but they also needed time with other students. Through X-Fuge on Mission I was able to keep my group together during our mission time each day and allow my students to be with other students during recreation and Bible study. This gave us the best of both worlds. We accomplished our goal of building group unity while allowing our students to interact with other students during rec and Bible study. It was a great week and our students still have friendships that they keep up with that were established at camp. Most important of all relationships that we want to see developed at camp is a personal relationship with Jesus. 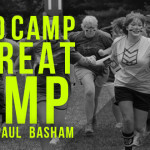 Through all of my student ministry years I have tried to figure out what the secret sauce is when it comes to camps and spiritual movement. There are a lot of things that we could point to but when it comes down to the bottom line it is that Jesus just uses camp to radically change the lives of students! As students are immersed in Bible study that points to Jesus, and they are involved in recreation or missions that allows them to see Jesus, and they dive into worship services that exalt the name of Jesus something is going to happen! Students are confronted with the reality of who Jesus is and that demands a response. I hope and pray that you see the importance of taking your students to camp every summer. It is through this great thing called camp that we get to establish and develop relationships that can shape eternity for our students. Hope to see you there. To learn more about FUGE Camps, click here.